Guard Rail (31/365 v2.0) – Annoyingly Boring? I often shoot something early in the day just to know that I have something in the bank for the day at least and then try to see what else strikes me throughout the day. Yesterday I don’t think I surpassed the safety shot. 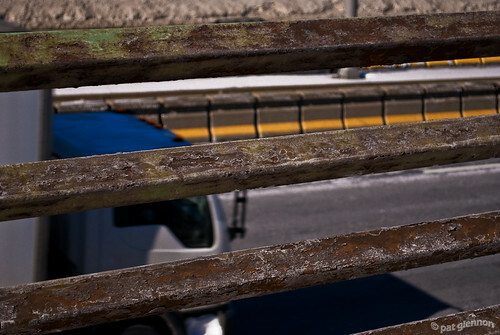 Nuthin’ wrong with this in Rupe’s book …..
A guard rail as a safety shot. How appropriate! I like em, I am sure with either the bailout money, the gas tax or the toll hikes we will get stuck in traffic later this year while they either paint or replace them…I vote Keep my money and leave em be they make great art!! Toms last blog post..Where I’m blogging from..